WHETHER YOU ARE PLANNING A CIVIL, CHURCH OR REGISTRY OFFICE WEDDING, ARNAGE EXECUTIVE HIRE WILL BE PRIVILEGED TO SUPPLY YOUR WEDDING TRANSPORT. YOUR WEDDING DAY IS THE MOST IMPORTANT DAY OF YOUR LIFE FILLED WITH BEAUTIFUL MEMORIES, BEGIN THE JOURNEY OF YOUR DREAMS IN THE MOST ELEGANT OF CARS. 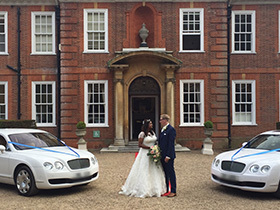 YOU ARE MORE THAN WELCOME TO VIEW OUR CARS, SO YOU CAN SIT IN THEM TO CHECK HEIGHT AND SPACE, MAKING SURE YOU HAVE PLENTY OF ROOM TO MAINTAIN YOUR POISE GETTING IN AND OUT WITH YOUR WEDDING DRESS ON. 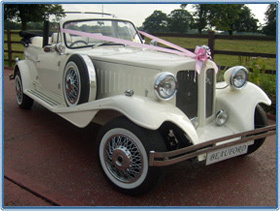 FOR EVERY WEDDING HIRE WE WILL DECORATE YOUR CAR WITH RIBBONS AND BOWS. 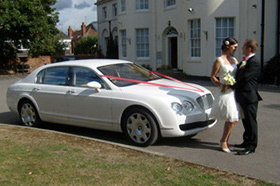 THE SPUR IS THE ULTIMATE IN MODERN WEDDING CARS.